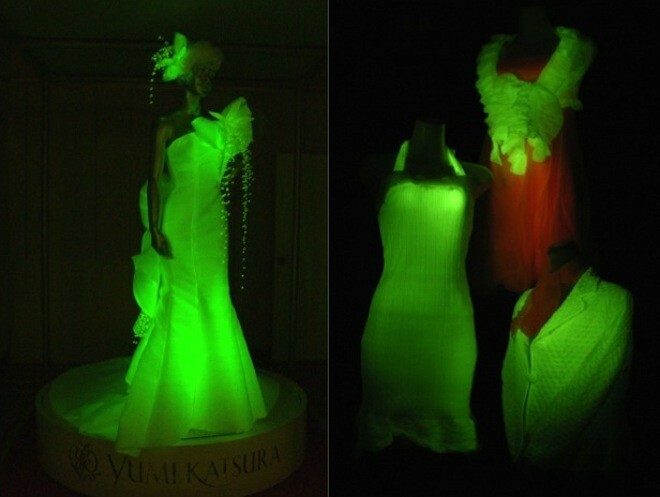 This glow-in-the-dark wedding dress is made from fluorescent silk, made by genetically modified silkworms. Scientists inserted glow in the dark proteins, from jellyfish and corals, into the silkworm’s genome. 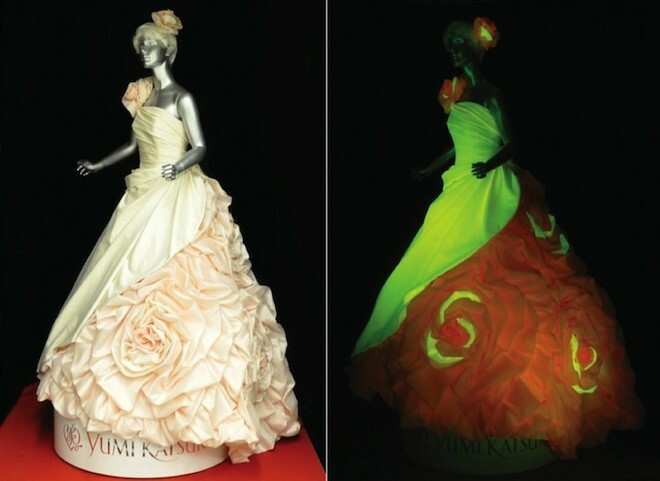 Japanese designer Yumi Katsura then took the silk, which glows either green or orange and created this unique wedding dress. Hello there, i am interested in learning more about this. It seems like a very clever bit of technology.